Knowing about trends is vital for future planning of any business. 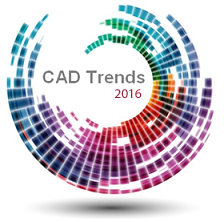 For businesses that produce or use CAD, CAM, CAE, PDM or PLM software this annual survey is for you! Learn which trends are strongest and where, what growth is expected, where awareness of trends leads to actual usage. This annual report is quite high level and easy to scan. There are also many deeper insights available in the data. If you are interested in more detailed analysis of the data, for example by Region, Industry or Software Vendor please contact us. If you have any follow up questions please contact us by phone or email.